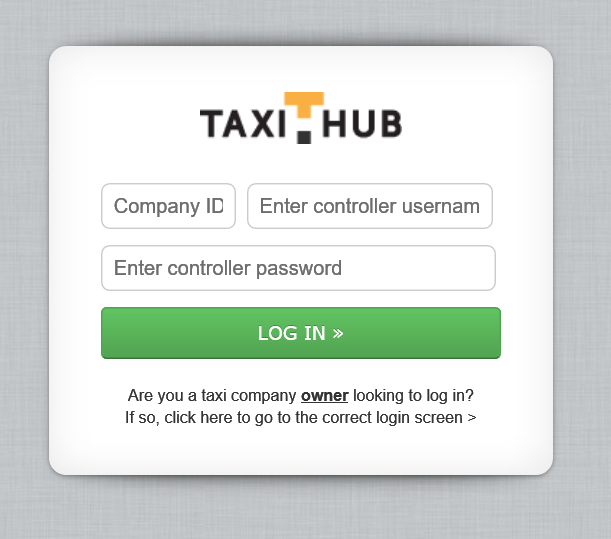 Go to https://my.taxihub.org/company/login/, enter your company’s login details. This will be the Password and Username selected at the time of registering. This screen is slightly different with company ID required as well as the controllers username and password. TIP – Controllers can only be created from within Taxi Hub, these are not the details you signed up with.